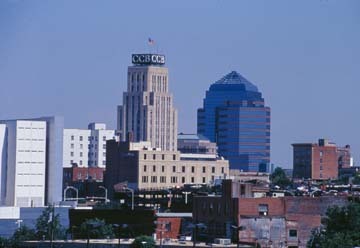 Durham is a city located in central North Carolina, and is the seat of Durham County, though some portions of the city extend into Orange and Wake counties. It is also one of the corners of the Triangle area and home to Research Triangle Park (RTP). Durham is home to the nationally-ranked Duke University and to North Carolina Central University. Durham is well-known for its cultural diversity, rich history and active social scene. The first inhabitants of the Durham area were the Eno, Occoneechi, and the Shakori native American tribes. Part of the Great Indian Trading Path has been traced through Durham and established settlements and other transportation routes were developed in this area. John Lawson named the area “the flower of the Carolinas,” and it gradually was settled by Scottish, Irish, and English colonists with the help of King Charles I.
Durham settlers have been involved in the Regulator movement, the American Revolution, and the establishment of multiple large antebellum plantations. Part of the developing culture of craft, rituals, music, dance, and more came from the slave quarters on these plantations, and from the free African-American citizens as well. Though Durham was almost entirely agricultural, it became a necessary hub for travel routes, including a post office and railroad station, despite the skepticism of the residents. During the Civil War, no major battles were fought in the area, but the destruction of properties created a bitterness toward the federal government. The expansion of the tobacco industry before and after the Civil War contributed to the further development and expansion of the area. The Duke family played a large role in the expansion of electricity in the town and in the surrounding areas through Duke Power, which is now Duke Energy. Duke Power also controlled buses and trolleys in the earlier half of the 20th century. The success of the tobacco industry invited the textile industry, which was aided by the growing electric industry. A 1914 fire sparked the establishment of city-owned water when water sources failed in the business district. In the second half of the 20th century, the Duke family supported the expansion of Trinity College, which is now Duke University. In the 1950s, Duke, along with UNC in Chapel Hill and North Carolina State University in Raleigh convinced the state legislature to purchase a land tract that would eventually become Research Triangle Park, which picked up where the tobacco and textile industries left off. In recent years, the growing popularity of the Durham Performing Arts Center and the revitalization of the downtown have attracted restaurants and vendors, investors and entrepreneurs, especially in the American Tobacco Historic District. Durham was officially incorporated as a town on April 10, 1869. Durham has received over 1,200 accolades in categories such as business, economy, food, lifestyle, and sports. One city of Durham website provides a comprehensive search tool for accolades, which can be found here.